A temporary respite from crochet flowers. 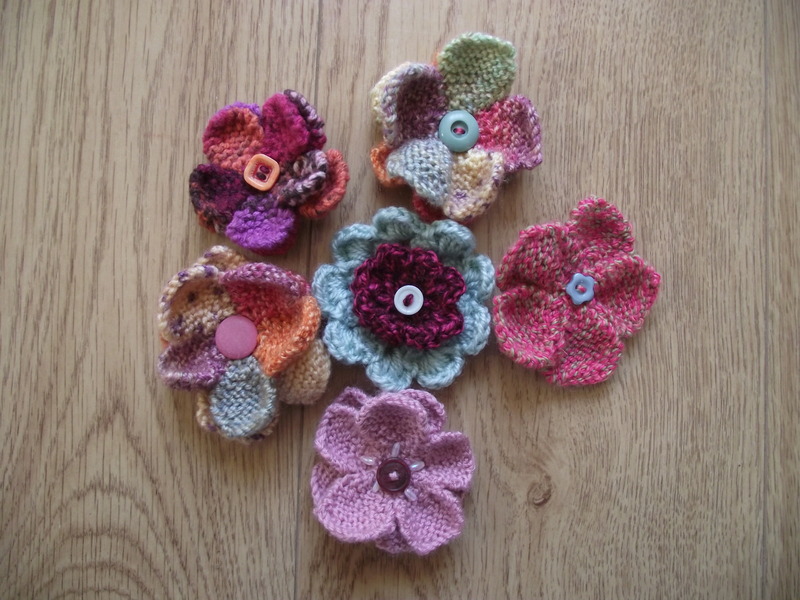 Knitted flowers. 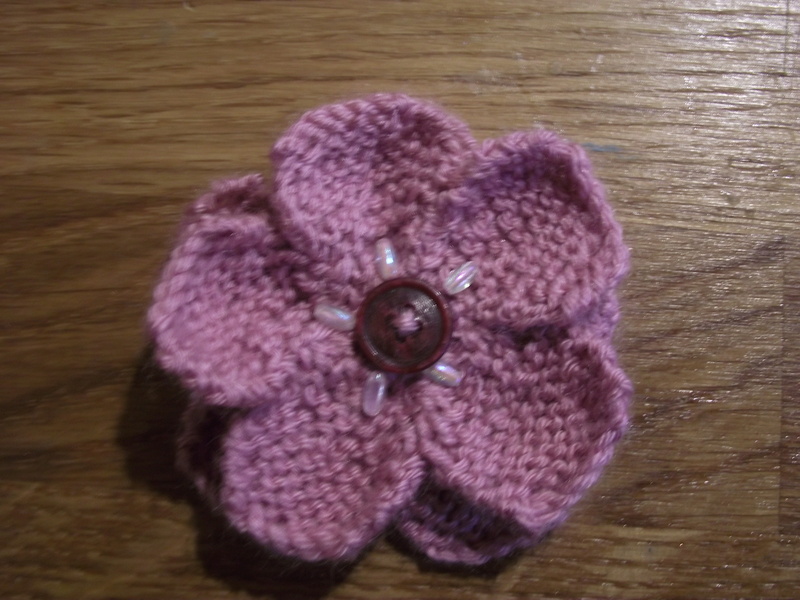 Each petal is knitted separately in either double knitting or 4-ply then sewn together. One layer or two look equally effectve and I have also embellished this one with a few pearlescent beads and a funky button. Transfer stitch from right needle to left needle and cast off. 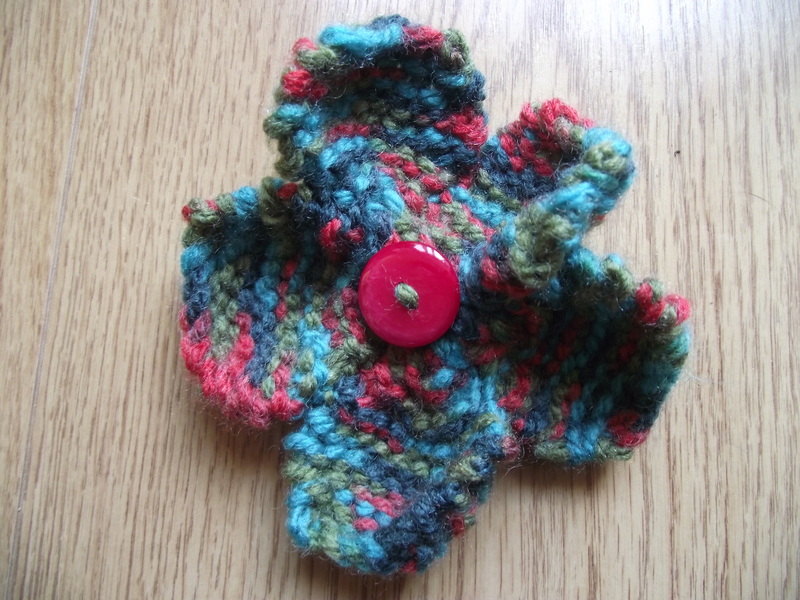 *Kf&b = Knit into the front and the back of the next stitch to increase. ** sl1 Kwise = Instead of knitting the next stitch, slip it from the left needle to the right needle. *** K2tog psso= Knit the next 2 stitches together, then pass the slipped stitch (see ** above) over the last stitch knitted to decrease. ***Slip the first stitch from the right needle to the left needle. Knit the second stitch and pass the slipped stitch over the knitted stitch to decrease. To finish off: Transfer the remaining stitch on the right hand needle to the left and pass the stitch on the left over the right (1 stitch remaining) cast off and secure. I have finally found something I can do on the train without my arms flailing everywhere threatening to accidentally stab my fellow passengers with knitting needles. Crochet hooks are smaller and blunt and therefore crocheting on the train is a much safer and convenient option for me than knitting. 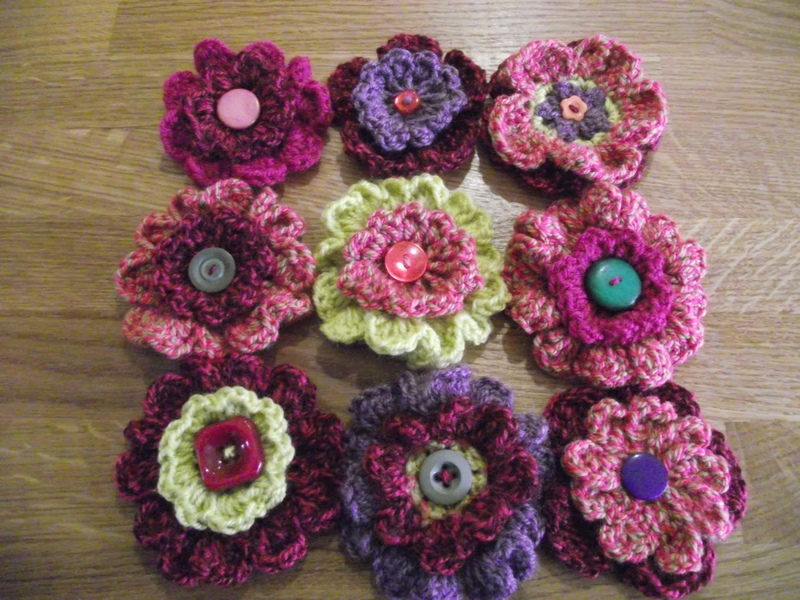 Funky flower brooches are usually the end product and having sold a few and with orders for more in specific colours to do, I need to get on with it. Whoop! Whoop! A double celebration today. 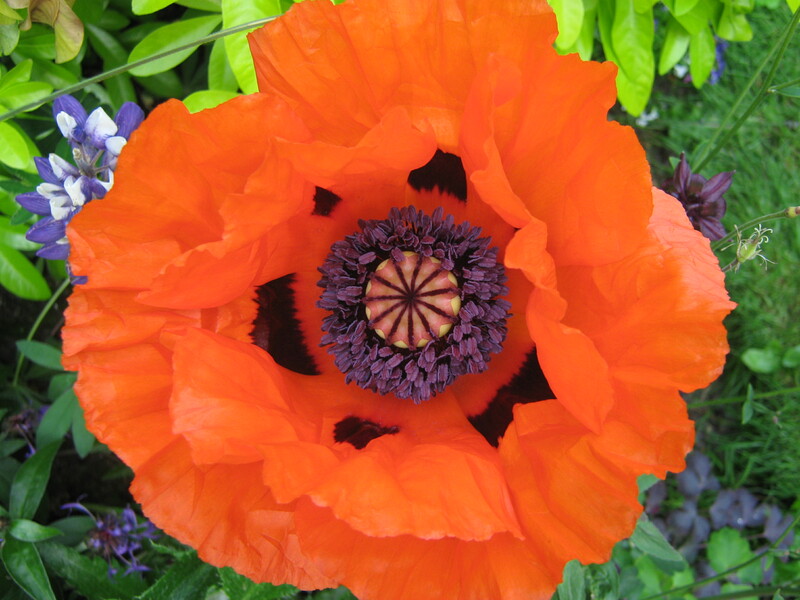 Not only is it my favourite day of the working week FRIDAY, but this is also my 100th post since starting my blog back in November. As Fridays go however, this is not shaping up to be one of the best. My hubby is in bed with flu, and without my chef and chauffeur I am completely lost. I even burnt my toast this morning, gave up and had Shreddies instead-what a quitter. Now it’s a few years since I had Shreddies for my breakfast, and I wonder if I am the only person who has missed the fact that Shreddies are lovingly “Knitted by Nanas”? What is all this about? Knitted cereal? What are they knitted from? How many Nanas do the knitting? Where do they sit? Nana Knitting factories? I’m clearly behind the times and to be honest with all this swine flu about if I had known that Nanas sit and knit Shreddies en-masse, I’d have stuck with Weetabix. Mmmm… I wonder if the Health & Safety brigade has looked into this? It can’t be hygienic can it?